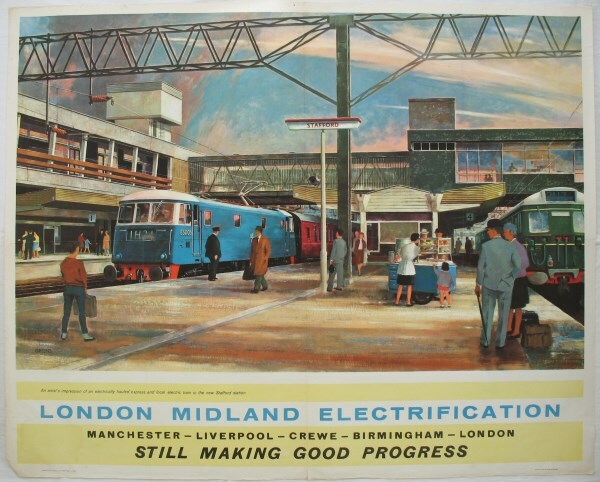 Lot 38 Q/R Poster 1963 BR (LMR) "London Midland Electrification - Still Making Good Progress", by John Greene. Artistic view of the New Stafford station, with a Class 81 and local unit. Very good folded condition, with small stain and loss to bottom left corner.